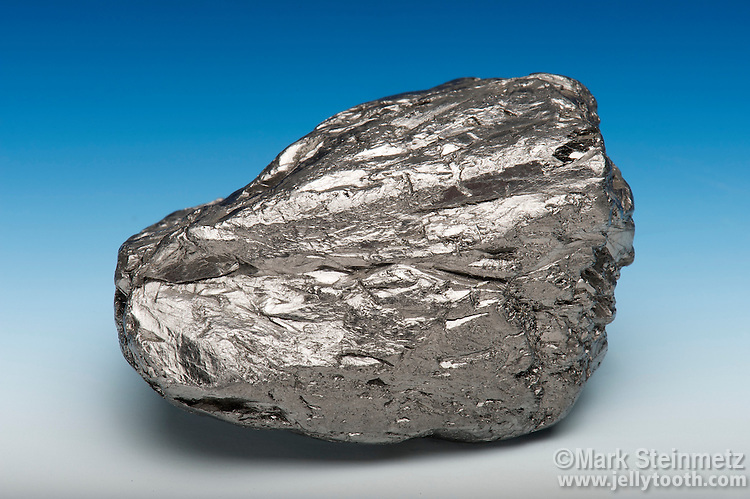 Natural form of the mineral graphite, an allotrope of elemental carbon, with a submetallic luster, hardness of 1-2, and a greasy feel which will stain fingers. Widely known for its use as the "lead" in pencils. This specimen is about 5 centimeters wide.